Salvu s-Sennien has been sharpening knives ever since he was a teenager. His father passed away early on in life, leaving Salvu to take care of the business at the tender age of 16. Back then, business was booming and Salvu and his father worked hard from 6am to 5pm, sharpening blades for their clients. “People came from all over, foreigners and Gozitans used to bring us their blades to sharpen, but that’s over now,” he says, reminiscing about times gone by. 52 years later, it’s still rewarding even though it’s not as hectic. 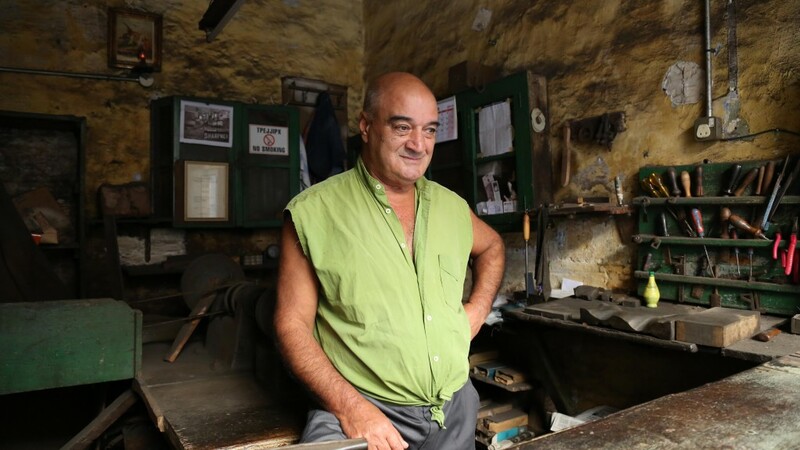 Salvu and his store, located in St Paul’s Street, is in itself a reminder of times gone by and was featured in the Valletta 2018 video ‘Valletta is My Orchestra’ . Cave-like in appearance, the work space tells its own story with knives hanging in display cases and tools lined up next to each other on green shelves hung on the wall. His work station with his machinery and tools are at the centre of the room, the heart of his of trade. Two elderly gentlemen hand Salvu some knives to sharpen in a brown paper bag while friendly people walk by and wave, calling out his name with a smile. It makes you think of how busy he must’ve been in his youth. His trade, however, is sadly becoming obsolete in modern times. “It’s rewarding when people come up to you and thank you for all your hard work. I used to have butchers coming up to me to thank me for my services when they closed their shops.” This goes to show that a little appreciation can make a world of a difference. It’s unfortunate that there seems to be no future for Salvu’s trade, which will be yet another trade forgotten and lost to the sands of time. 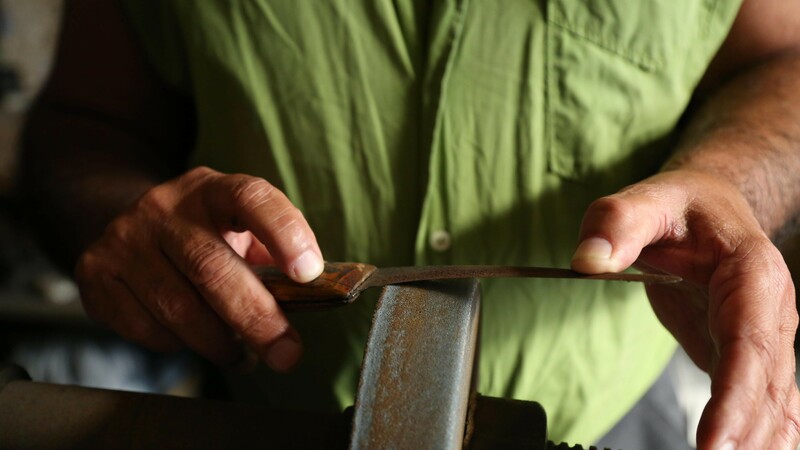 However, before he calls it quits, Salvu’s music of blade sharpening will continue to be heard in St Paul’s Street, and will continue to form part of the sounds that contribute to the soundscape of Valletta’s city streets.